Today was the first day at the Care Center all on our own! All last month we worked alongside Brett and Allison to learn the ropes here in Lesotho. If there’s one thing we’ve found to be true, it’s that this is a very big job and we have A LOT to learn. But all you can do is take one day at a time, and it just so happens that today was the first day on our own. We started with our quiet times, which we then shared with the ladies at the Care Center. All last month with Brett and Allison we would start the day by sharing what each of us had learned in their quiet times. So, we tried that this morning with the Care Center ladies. I spoke on Ephesians 2:8-10 and Rachel shared from 1 Thessalonians 5:16-18. These are some great verse, check them out! The women really seemed to love it! We encouraged the women to share their quiet times with each other tomorrow. They were so receptive! When we asked who would want to share tomorrow, one woman suggested they all should come prepared to share… and all the women agreed! Rachel and I are so excited to see them reading the Word together and teaching each other what the Lord is showing them. We can’t wait to learn from them! Sharing with each other this last month with the Barnhills has been so encouraging for us. Please keep this time in your prayers, that the women can continue studying the Word together and encouraging each other. After the devotions, Rachel began working on a document with the women that she made for us to learn more about the kids. It includes a list of all the children, their ages, grades, and even a picture. They worked together to fill in information like who the child stays with, what their home life is like, how are they doing in school, and my personal favorite, what makes them happy. Rachel and I are eager to learn more of the kid’s stories so we can better love on them and pray for them. These kids are the reason we are here. Our heart is all for them. We went outside and played the classic game, pick up sticks. The children were looking at us so funny as we attempted to explain the rules to them. They quickly caught on and enjoyed the game so much! We played this game for over an hour, in the dirt, with Paseka, Motsilisi, Tsoanelo, and Ntene. They all got a kick out of the chicken that wanted to play with us as it literally stood on the sticks in the middle of the circle until Paseka picked it up and threw it over Ntene’s head! At the end of the day, we wanted to drive all the women and children to their homes. This is a simple thing we occasionally do that is a lot of fun! Paseka was especially excited as he jumped over the back seat, immediately put the window down, and hung his face out the window. The kids love it when we drive them back to their villages. We are still amazed at how far many of them walk every day to come to the Center. It was a great ending to a great first day at the Center all on our own. Lastly, the Flora family invited us over to dinner and we enjoyed their homemade salsa. Oh how we love chips and salsa! Then we headed to the lodge to FaceTime some loved ones. This always encourages us when we get to talk to people from home. Overall, we are feeling like we may be able to handle this job! Sometimes taking the first step into a new thing can be scary. It certainly took extra courage to get started today, but we felt all the prayers and encouragement and got to work anyway! We have been in Lesotho for 18 days now! We have settled quite nicely into our home in Katse. Tyler has begun some home improvement projects and Rachel has conquered her fear of cooking four hours from a grocery store. The meals are really yummy and the house is feeling more and more like a home. We have had the opportunity to visit both of the churches we will be working with on Sunday mornings and have loved the time of worship. We sing really loud and hope the noises we are making are close to the words in the song! Rachel can’t wait to know the words and understand what we are singing at church. When you come, you better be ready to move. Everyone is clapping along and swaying to the songs. It’s such a cool atmosphere! But don’t get us wrong, we do really miss worship at The Exchange! Over the past few weeks we have also gotten the opportunity to see the Care Centers at work. Every day we head up to one of the Care Centers. We have been spending time getting to know the Care Center women and learning the flow of each Center’s day. We have been able to get a good grasp on what they do and the level the Centers are at. Both Centers are requesting new toys and teaching materials, which gives us an opportunity to look through the storage room where teams have brought supplies and pick out a few things to use over the coming weeks. It’s our goal to have the women plan out “centers” for the kids each day – Bible, Reading, and Math. And of course, they need something fun everyday like a puzzle, craft, or game! Rachel is excited to use her organizing skills in lesson planning and Tyler is eager to help the women come up with great ideas for activities. One of our biggest tasks right now is learning the kid’s names. We have taken pictures of everyone and have their names written next to them and then spelled out phonetically. We go through this list and try to memorize the names. It has been harder than we thought – probably because of the pronunciation. But we know over time we will get all the names down. And then after that we are going to nail down some Sesotho! Rachel has already started making flash cards for practice. Last Friday we made the long drive to Maseru, the capital city of Lesotho, to work on our immigration paperwork. JB and Liz Bundrick were so kind to not only invite us into their home but also show us around town and help us with every step we needed to take to apply for our residency permits. It was a full day with relatively no hiccups. Praise God! Now we wait about five months to hear if we have been approved for our permits. Also, throughout these first weeks we have been apart of the Marketplace portion of what Reclaimed does. Tyler and Brett have been working hard with the chicken project. Both Care Centers have 50 laying hens and are producing tons of eggs! They put aside the eggs the children will eat that day and the rest of the eggs they sell to people in the community. Such a cool way for them to make money. We hope to begin gardens next week so they can grow vegetables for the children to eat too. Lastly, we have gotten the women started on making more leather journals. They are all meeting each morning before the children get out of school. So far, the paper is all cut and folded and the leather is cut to the right size. Next week they will begin binding the journals together! We look forward to a few more weeks of learning the details of the job, building relationships, and setting good patterns for the work! Time for a confession, with all of the emotional valleys of saying goodbye to family and friends I was ready to leave the country for a while. Goodbyes are really hard for me. My prayer throughout this whole season has been finding peace in the midst of goodbyes and joy in the face of sacrifice. Getting through the cloud of sadness has been my hearts cry. My longing was for peace to come on the other side of a 16 hour plane ride. Once again God has proven to me how unfathomably good and gracious He really is. The peace in our hearts did not come after the goodbyes ended and our “new life” began, God showed himself during the goodbyes and gave us His peace throughout all of the tear-filled times of “see-ya-laters”! I need to learn to start praying bigger prayers. 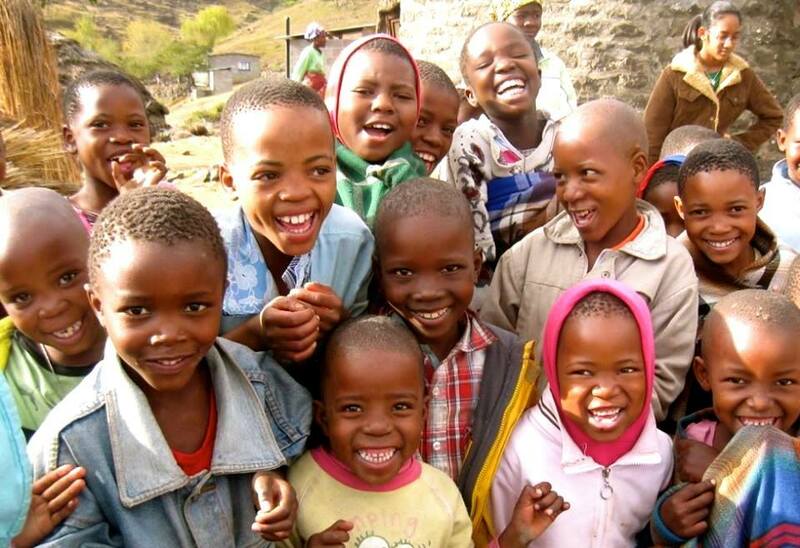 This past week in South Africa and now in Lesotho has been filled with so many unexpected, but wonderful, joys. We have had challenging times of Bible study and prayer with Brett and Allison. We have dug into the promises found in God’s word and begun seeing more clearly His vision for this ministry and our place in it. I have learned how to drive on the reverse side of the car and road. Rachel conquered grocery shopping at unfamiliar stores and has purchased supplies for weeks at a time (we are four hours from the closest grocery store). The list goes on and on. We are getting into the swing of things here, and if I was to answer honestly, Rachel and I are a lot more comfortable and confident in our ability to live here than we ever thought possible. And we are only a week in. Bigger prayers Tyler, bigger prayers! The next step for us is making contact with the care centers and getting to know the people we will be working closely with over the next few years. We are so excited to see the kids again and to begin pouring into their lives, and the lives of the women at the centers. It’s why we came here. Please lift us up in prayer for the next week as we begin the work. Pray that we will be able to unify with our Reclaimed team, as well as with the IMB (International Mission Board) team as well. Also pray for our hearts to stay humble and find joy throughout everything we encounter as we begin learning culture, language, and how to live a missional live here in Lesotho! I’m writing this post in the airplane somewhere between Richmond and Atlanta. Thank you everyone for your prayers this morning. When we got to the airport we checked our bags and none of them were over 50 pounds. This was a huge concern for me because we had been checking them at home and kept getting different amounts on different scales. We had four scales and were praying the lowest one was correct! So each bag made it to the conveyer belt, tagged for Johannesburg, and then it was time for our boarding passes. The clerk was receiving a hold restriction on our tickets because we did not have visas for South Africa and our tickets showed we would be there longer than the allowed 90 days. We explained we were just traveling through South Africa and our final destination is Lesotho where we plan to get visas within the next few weeks. After an hour at the check in desk, several messages to our team, and scrambling to find some documentation to prove we were telling the truth, we were finally let through. I want to praise Tyler for how he handled this situation and thank Brett for helping outright as he was boarding his plane from Mississippi to Atlanta. God is good and has certainly given us the best team. Thankfully we had gotten to the airport early so we still had time to say our goodbyes, get through security, and enjoy a quick lunch. Saying goodbye (really it was “see ya later”) was difficult but I could feel the presence of God guiding us and giving us courage and peace to take the steps away from our family. The security line was empty. I told one of the men, “I like this a lot better when there are less people.” He said we just missed a big rush and that we “had impeccable timing.” My goodness that was not our timing, that was God’s timing. It was low stress and we were able to take our time getting five pieces of carry on luggage and ourselves through the security line. Praise God! Lunch was delicious and were able to read everyone’s comments and messages that they were praying for us. Believe me when I say, we felt every one of them as God was showing himself to us! We are about to land in Atlanta. Next task is to meet up with the Barnhill’s and enjoying our last meal in America! Then onto the 15 hour fight to South Africa! We cannot believe this day is here. And taking a step back for a second. This weekend was more than we could have ever asked for. Saturday we were able to spend time with my younger brother, Tanner, after his summer away and before he went back to Tech. We had the most amazing night of worship and prayer with our church family and enjoyed even more time with close family that night. Sunday we were prayed over in every service by our entire church and had our last goodbyes with friends. My older brother and his wife surprised my parents by coming in town for the day and we were able to enjoy one last visit with our whole family together (until Christmas). Monday we split ways and knocked all our errands off the list and packed the entire afternoon and into the night. Both our parents helped us finish up and got everything we wanted in the bags. We had a great dinner with them and just enjoyed being together. Last night while Tyler and I were walking on the beach we were struck by the beauty of the moon. It was full, bright, and almost close enough to touch. It was so bright that when we looked down to the sand we saw clearly defined shadows, and everything around us could be seen clear as day. The ocean beneath the moon was shimmery and reflective. The ocean currents were filled with every imaginable shade of color between blue and white. With every wave’s inhale and exhale the details of the moon’s reflection and the colors within it changed ever so slightly. It was a beautiful sight. I sat down on the sand and just watched the waves come in and out, the pulses of the ocean going back and fourth. I started thinking about how huge the ocean is and how far it goes. How it surrounds everything and no one can comprehend how big it truly is. At times the ocean can be calm and relaxing, like a place of refuge. And at other times it can be raging, dangerous, and stormy. It got me thinking about God. More specifically, it got me thinking about a life spent fully trusting God and submitting to His will. and in those times we need to trust God. It brought me comfort to be reminded of this. God has it all under control, He has a plan. In Him I may find peace and encouragement. As the ocean is constant, so is He. As the ocean is huge, so is He. As the ocean is beautiful, so is He. As the ocean never ceases, neither does He. The upcoming weeks will be filled with lots of unknowns, kinda like looking out upon the ocean. May my heart be filled with God’s constant peace and my soul continually search for His beauty amongst the storms. So we aren’t off to a very good start. It’s been over a month since we last posted, sorry! We will try to be better at posting regularly. And with that, settle in for a longer-than-usual post to get you all caught up. We are down to just under two weeks before the move to Lesotho. Everything we own is either in a suitcase or in storage. And we are more nercided than ever. Oh yeah, I came up with a new word to help us communicate how we’re feeling. It’s a nice blend of nervous and excited. Rachel and I are overflowing with nercidedness! Before we talk about the next 13 days, let’s take a few minutes to highlight the incredible month we’ve just had. It started with an amazing weekend relaxing at Virginia Beach with Rachel’s family. It was so great to be able to spend intentional time with family and friends. After leaving my job and Rachel finishing nursing school, we needed some time to regroup and recharge before moving out of our apartment. It was definitely a time of growth for the two of us and a perfect time for the Lord to remind us of the incredible journey He was allowing us to begin. As some of you know, back in 2012 I spent the summer traveling to six different states working with CentriKid Camps. I loved working as a camp counselor, and look back on my time with CentriKid as a transformational moment in my life. Not to dig too far back into my diary, but at some point throughout that summer the Lord began to break my heart for sharing the gospel with children and sparked a desire in my soul to pursue that with my life. All that to say, the week after we moved out of our apartment, I was given the opportunity to go back to CentriKid with the kids from Cool Spring. It was such a joyous time of reliving past memories, connecting the dots of how God has worked in my life over the last 4 years to lead me to this point, and having new experiences with an awesome group of 4th and 5th graders. I am so thankful for the team I was apart of back in 2012. I learned so much back then, and spending the week at CentriKid again was such an uplifting experience and has solidified God’s calling on my life. The day Tyler left for CentriKid, my mom and I left town for our girls-only road trip! We had a great time spending a few nights with my cousin, Meredith, who works at Ridgecrest (North Carolina). While we were there we also got to meet up with Avery, one of my best friends from Liberty. I treasure the friendships I have with Meredith and Avery, and will miss them a lot while living so far away. I was so happy to spend intentional time with just my mom, and it was so special to be able to celebrate both of our birthdays together. On Wednesday, we concluded our birthday trip by meeting my brother and sister-in-law, Hunter and Kelli, for lunch in Lynchburg. Then I was able to join Tyler at CentriKid! Seeing Tyler lead the kids brought me so much excitement for our future. God has truly given him a natural ability with kids and a passion for teaching them about the gospel. The following week Tyler and I had the opportunity to travel to Mississippi to visit some of the Reclaimed team. We were looking forward to this time with Brett, Allison, and Beau Barnhill who are in the States for a few months. When we move to Lesotho, they will move to Zimbabwe to work with a local church with a growing widow ministry. We are excited to see what the Lord does in Harare, Zimbabwe through the Barnhill’s. We were also able to spend a day in the Reclaimed office meeting with Jason and Hayley, going over paperwork, and finalizing all the things needed for moving to another country (which is surprisingly a lot). We had lunch with Mr. Robert and Mrs. Margaret Fortenberry who were missionaries in Lobatse, Botswana. I met them when I spent the summer of 2013 with Kasey and Allison serving at the first Orphan Care Center. Speaking of Kasey, I got to see her too! It was great being with her again; it reminded me of that fantastic summer and got me excited for all the wonderful relationships through ministry to come. The day we flew home from our week in Mississippi, it was time for another adventure and we went straight off to a conference all about medical care in missions. How perfect for us! A huge thank you to Mr. and Mrs. Brown for getting us connected with this conference and making sure we were able to go. I struggle with some insecurities about using my nursing skills overseas and they thought this would be a great resource for me. God works when we need Him most and really does equip His followers to do His work. Long story short, Tyler and I spent the next two days furiously scribbling down notes the entire time and we couldn’t ask enough questions. So many of my fears were wiped away just by hearing the stories of other missionaries allowing God to work through them and trusting that their medical training would be a catalyst for advancing the gospel. I may not be totally confident in my ability, but I am in His ability! After the conference we were able to spend a couple days at home working on banking stuff, immigration stuff, travel stuff, packing stuff, and a bunch of other stuff we had been putting off. At this point we were a little less than a month from our departure date and in need of a little time away. Our summer calendar was filled up and as much as we love and cherish the time with family and friends, we were in desperate need of some time away from it all. We were so grateful for Mr. and Mrs. Craymer for allowing us to stay at their cabin at Wintergreen. For four days we hunkered down in the mountains and spent intentional time reading, praying, and preparing our hearts for the month to come. It was such a sweet time with each other and with the Lord. So often we get consumed by the busyness, we thank God for the opportunity to get away and recharge for the last push. Our last night at Wintergreen, Rachel’s brother and sister-in-law, Hunter and Kelli, were able to join us. We had a great time with them staying up late and talking about life, eating lots of food, and hiking down to a waterfall. We even got to see two bears who were a little too close for comfort. Another thing we are learning about this time of life is that with every happy memory we have, there seems to be a hint of sadness in our hearts. We are really going to miss time with family like that. It just kinda stings. So a week and a half has gone by since Wintergreen and we have filled our time with even more banking stuff, more immigration stuff, more travel stuff, more packing stuff, and more of a bunch of other stuff we have for some reason still been putting off. We are 99% there (Rachel says we are only 75% ready, ever the realist!). This Friday we head to the beach with my family for the week. It will be a great time of relaxation before the big day. Rachel and I are so looking forward to spending time with my dad and mom. I hope to play some golf and Rachel is ready to sit by the pool and snooze the day away. It’s the calm before the storm! Pray for our transition into Lesotho. Pray for the documents to come together, for the immigration process the be successful, and that our move into our new home in Katse will go smoothly. Pray as we learn to live within a new culture. 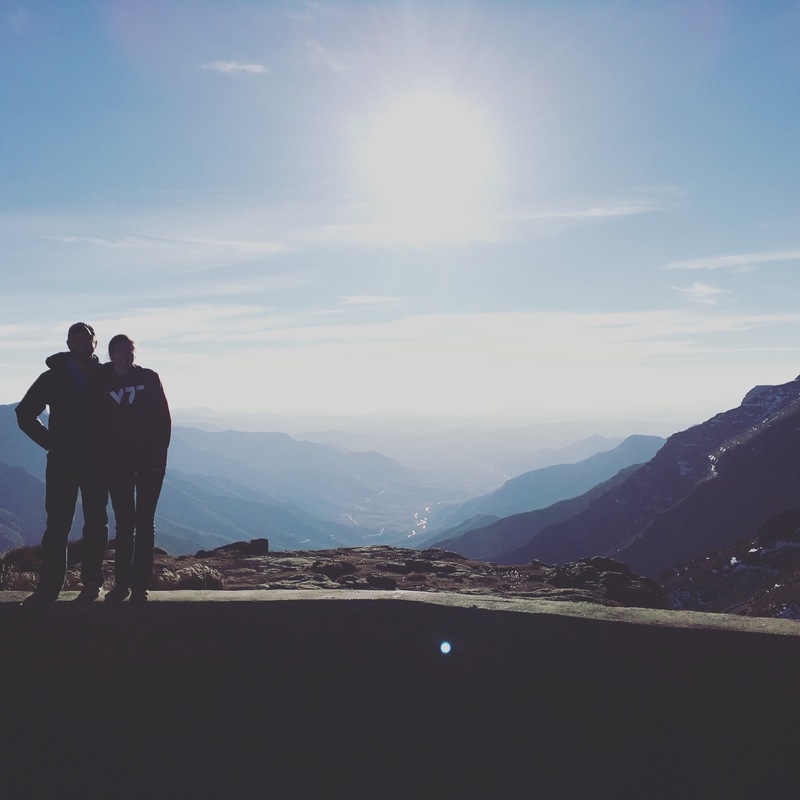 Life in Lesotho will be incredibly difficult at times and we pray that God blesses us with friends and ministry partners who will help us through these times. Pray for us as we learn to work with a new team. Pray that we can work well with and are able to encourage and empower the Barnhills, Cofields, and Floras. Pray for our family we are leaving here in the States. Pray that they will have peace about our move and stay encouraged and excited for our work. Thanks again for taking the time to read all about this crazy adventure. If you haven’t already, check out this event we are having on August 20th at Cool Spring. It will be such a sweet time of worship and prayer, we would love for you to join us from 6:00 – 8:00. Hope to see you then! Thursday was a hard day for me. For the past three years I have worked as the School Age Director at Cool Spring. At times the job was challenging (as all jobs are), but it was also overwhelmingly fun and rewarding. I learned so much about successfully running a program and grew personally as a leader. I thank God for the opportunity to impact hundreds of kids and families. There were tear filled goodbyes, presents (shown below), and lots of hugs and high-fives. It was a really hard day for me. Not just because of my early retirement from my dream job, but because I sold my Jeep. I know they say you can’t take things with you when you go, but I would have driven that ’97 Wrangler to the pearly gates if given the chance. Elephant tire cover and all. It was a really really hard day for me. At this point your probably wondering why I’m writing this blog post. I’m making you too sad. It all can’t be happy and exciting and fun. One of my favorite quotes of all time comes from Walt Disney. I have lived by the words “Keep Moving Forward” since my middle school days. If things aren’t going we’ll, keep moving forward. If things are amazing and you’re nothing but happy, keep moving forward. So the happy, exciting, and fun part is reminding myself what “forward” looks like. Not only do I get the chance to serve orphans and reach communities in Africa for Christ, but I get the chance to do it with the love of my life! I am so overjoyed to be able to spend the next few years living out my calling with Rachel, and I can’t wait to find out where “forward” leads us going forward.